It is definitely not fun in these times of H1N1, with confirmed cases hitting our shores in Sarawak. I have made some fancy mask cover to protect my surgical mask that had been distributed. Below is a set of very basic instruction if you want to make your own. I took out a surgical mask for dimensions, to ensure it fits. I used some leftover fabrics that I have been saving. These were my mask dimensions; 17.5cm x 17cm , with 2cm seam allowance. I also marked out the folds. Cut out the fabric as marked and continued marking the middle folds before ironing it down. Here, folds ironed in place, as marked. And a detail shot. Folds of 1cm (underside) and 2cm (overside). I sewed a straight stitch along both sides to hold the folds in place, before hemming it inwards. Now, I took out a recycled rubber band (that I have been saving up too), measured the length according to the bands on the surgical mask and cut out 2 strips. I sewed it into the top seam allowance and the bottom seam allowance (on the same side). Cut of excess and repeat for the other side. After with, I hemmed the top seam allowance inwards to cover over the band, and repeat for the bottom seam allowance. Done. Placed it over my face (above the nose) and pulled the bottom bit downwards to achieve maximum coverage. It can be stretched all the way down to my neck. For extra precaution, wear the surgical mask underneath this mask. Honestly, its not only for your own protection, but it is also considered polite to wear this if you are having flu/cold. For more info about facemasks & respirators, read here. I hunted all over the place for a cloth "surgical" type mask to sew and can't tell you how much I appreciate your pattern and the directions. It will be so much more economical to be able to wash these masks instead of throwing away the paper ones. Thank you so much. 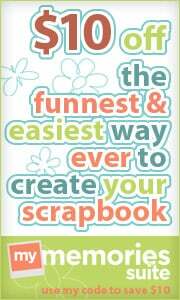 I am running off copies for all of my sewing friends! If you happen to want something made but is unsure of how, we can figure it out together. Cheers! Could you post the length of the rubber bands, please? mine is about 15cm on each side. but since this is your own handmade, you can try to make it to fit. Good luck! good job, pegs! found your link through my pal who likes sewing. nice work! i made 3 for my sis too after i found out you blog. Diff sizes but glad they are wearable. heheh..
Will keep checking back to 'steal' some of your fantastic ideas too! Thanks Neeza, I saw your blog! I'm actually very excited to finally meet so many local crafters! Thanks for sharing. I have just posted about my sister making this masks for sale as well at www.asiaworkingparent.com. Thank you for this! People are actually selling these handmade face masks for RM5. But I'd rather sew my own. Thank you again. I will keep you posted! And thanks! hamven, maybe you would like to try it with some interfacing, instead of the muslin? Hmm-I am not sure what interfacing is, but I will find out. Thanks! What kind of fabric would be best used for the pattern? Brainsalad: I used cotton, for breath-ability, and natural fibres. You can try others if you want. Hi, I thought it might be handy to let viewers know the approx distance from the top seam allowance to the first fold. It's not hard to do the math, but it was a distraction from getting right to it. It seems to be about 3.5 centimeters from the top seam allowance to the first fold and then 3.5cm from the last fold to the bottom seam allowance. Is that about right? I just finished this using denim from old jeans and it nice. One other thing I'll do when next I make one is to find a piece of flexible metal to put into the top seam allowance so that I can pinch it down around my nose. The problem I've always had with masks is that when I breath out, the air rushes up past my nose and into my eyes, and it makes my eyes feel dry. With a metal bar to pinch it down, there is less gap for the air to flow out directly into the eyes. thanks alot Metqa, for being so extra observant. maybe when you re-post your own version you can include that in your instructions. in my case, it's 1inch (more or less 2.5cm). but seam allowance is whatever is comfortable per person. Some people prefer bigger seam allowance. so I usually just give the necessary dimensions. Since I use this over a surgical mask (as mentioned in the same entry), which already has a metal band over the nose bridge, I didn't need to double it up. Thanks Shing Er & Amy. This is supposed to be a basic pattern. Please modify it as you see fit for your own purposes. Glad to be of help. Thank you for posting! I am working at a pet groomer where we scale dogs' teeth without anesthetic (like they do at the human dentist), and this will definitely keep us from flying tartar and debris, which flies everywhere. We don't have to worry about germs, and the washability will be extra nice. I'm especially excited about the fact that this particular mask doesn't require any bias tape. Great pattern! I have asthma and cold air really bothers it. I want to make some of these so I can continue to walk in our cold winters. Simlpy great work and well crafted face mask after reading your post i will say you have mentioned those steps very nicely and also want to share that if we tried then we can make part of filtration of air more better. Thank you for the pattern! Great way to use up scraps of fabric and prepare for the cold season. Thank you so much for this! I mean i've been looking for a legit step by step process and yours is the easiest! Thank you so very much. Just made one. It made my dog growl but am hoping that it will reduce my sickness exposure from the bus and work. I have been sick for over a month. Hopefully after this not again. So glad I found this. I have a few autoimmune diseases, so my immune system is pretty much nonfunctional. I seem to always pick something up around large groups of people and every time I visit a doctors office or the hospital. These will be so much more fashionable, I'll actually want to use them! Thank you for this simple face mask. I wished I had it when I went for Chemo last Monday. Got knocked back for chemo because I picked up a bad cold from my l4mth grand daughter, also my blood count was also down. This is a weekly chemo hopefully I can do it next Wednesday. I made two after reading your tutorial. Thank you so much for sharing! Thank you for the dimensions and instructions for this style mask. I found another with the curve sewn in, but both styles are nice for those who prefer one style over another. I'll be making enough to keep in our vehicles and my purse for protection of myself or others should I come in contact with, or develop symptoms of a cold or flu when in public. I just found your site through Pinterest. I had a kidney transplant almost 5 years ago so my immune system is suppressed by medication to prevent rejection. Which means I have to mask up in a crowd during cold and flu season as a precaution. Your masks are perfect and so stylish. I am definitely going to make some. I had an idea to be able to pinch the nose portion down. Perhaps use a chenille pipe cleaner in the top seam? I might give it a try just to see if it'll work or not. Thanks for sharing your wonderful pattern.